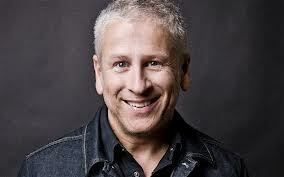 Thanks to Reader Jill for pointing out the story of Pastor Louie Giglio, it's the latest in a remarkable string of hypocritical pronouncements from Dear Leader as he transforms the country into SecondTermica. In fact, the hypocrisy from the left is so Fast and Furious, I can hardly keep up with it. But I digress. The 54 year old Giglio is pastor at the Passion City Church in Atlanta. 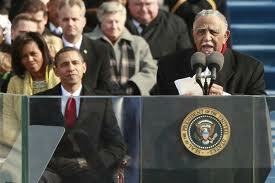 He was invited to give the benediction at Dear Leader's upcoming inaugural. The invitation was rescinded when some complained about a Giglio sermon some 20 years ago in which the pastor described homosexuality as "a sin", and asked his followers to "lovingly but firmly respond to the aggressive agenda" of gay activists. Huh! A Christian pastor who says in a sermon that homosexuality is a sin. I wonder where he got that sort of bizarre notion? Perhaps he read it somewhere. But I digress. "We were not aware of Pastor Giglio's past comments at the time of his selection, and they don't reflect our desire to celebrate the strength and diversity of our country at this inaugural. Pastor Giglio was asked to deliver the benediction in large part because of his leadership in combating human trafficking around the world. As we now work to select someone to deliver the benediction, we will ensure their beliefs reflect this administration's vision of inclusion and acceptance for all Americans." As Jill duly noted, this administration's definition of "all Americans" is somewhat less than inclusive, as the millions of Christians who live by Biblical principles are apparently not welcome. At least Obama is consistent when it comes to pastors, I mean he was determined to put Jeremiah Wright's foul diatribes front and center when he ran in 2008, and not brush them off as comments from years ago by someone he barely knows. Oh no wait, it was the other way around with Pastor Wright. Man, keeping up with the misdirection and prevarication from our President and his minions is taxing even to my significant intellect! Dr. Lowrey evidently feels that whites have not embraced what is right in the interim, as he told a 2012 campaign crowd in October that "all white people are going to hell". But I digress.